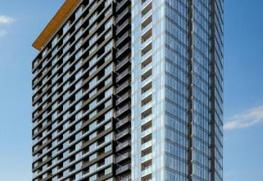 New Condos Zen King West is developed by top developer Center Court and is located at Strachan and King W, Toronto. With top of the line features and amenities this striking condo is in the top list of many people who are planning to reside in a best apartment. Page + Steele IBI Group Architects have given marvelous look to the building and with the best talent in designing Figure3 interior designer made this building worthy place to live luxurious live. 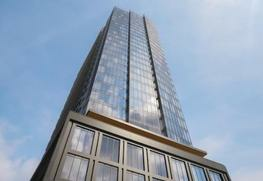 This classy apartment consists of total 480 suites and 32 Storeys with 1, 2 and 3 bedroom plans. Residents here can enjoy full complement of premium stainless steel refrigerator, textured grained laminated flooring, glass walled showers, glass top stove, stainless steel dishwasher and many more luxury standards. 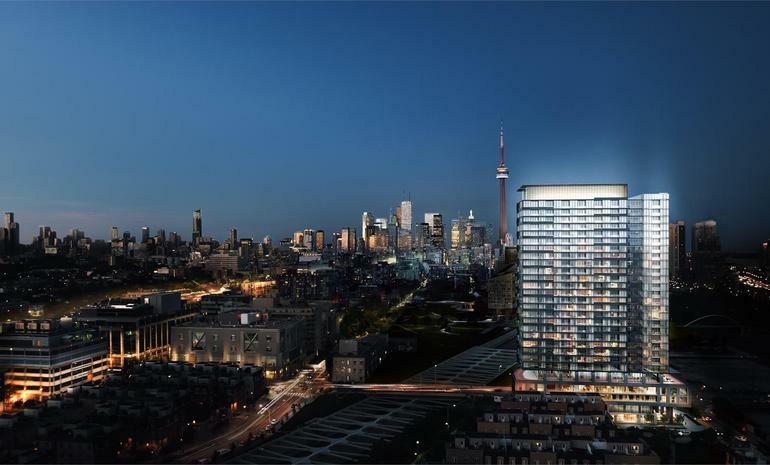 Located at truly the most affluent area of the city this new condos is reaching heights of popularity in the market today with easy connectivity to all life’s true wants. The high standard amenities here at Zen King West Condos are not less than 5 start standard amenities that are not only helping people with its easy access but also providing good entertainment. Sky Track, outdoor Olympic style running track, Zen fitness facility, yoga room, party room, luxurious spa, ground floor retail and concierge are some of the stunning amenities at this building. Residing in such a city residents of this apartment can experience easy access to many top restaurants, night life, businesses and many more. Zen King West Condos is making it an upscale neighborhood with professional young families. Some of the major places that are takes just few minutes’ walk from the location are Canada National Exhibition, Queens St W & Ossington Ave, Trinity Bellwoods Park, Financial district and metro. Some close by parks here are The Toronto Inukshuk Park, Trillium Park, Stanley Park and Stanley off Leash Dog Park and Garrison Common. Maintaining good reputation since from the year 2011 Center Count Development Company has gained great success in developing more than 3000 condominium units and more than 6 major projects. This real estate company in Toronto focuses more on customer expectations which is the major reason for being leaders in industry since from years. 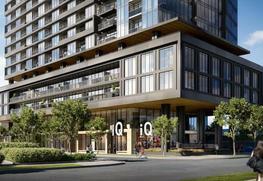 Grid Condos, 411 Church, Core Condos, INDX Condos, Karma Condos and Transit City are some of the successful projects of Center Count Developers. With a great traffic score Zen King West condo is proven as one of the great location for people to stay at and fulfill their daily needs in a convenient way with easy access of many shops and restaurants from the location. Perfect place for university students with all top universities and colleges just some minutes away from the building. So, whether you are college going or running a business there is no need to think twice to get into Zen King West Condos because it meets the requirements of all types of people at best prices.